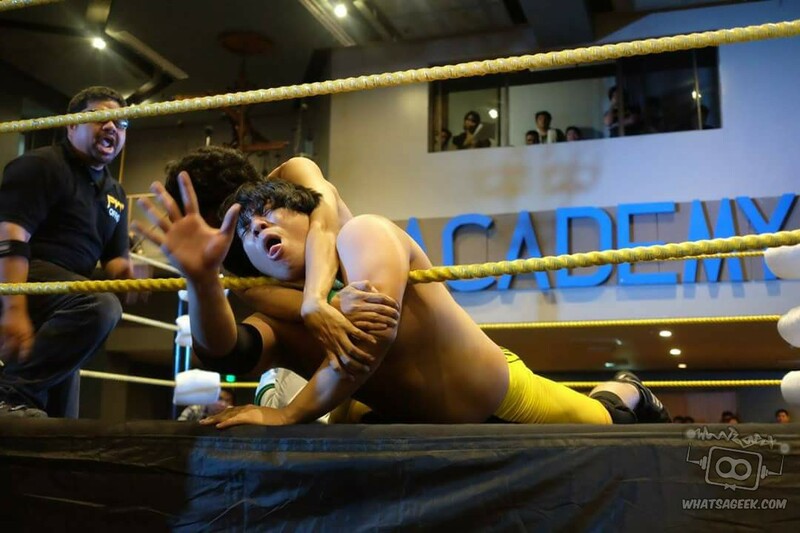 The Philippines’ very own Philippine Wrestling Revolution has grown leaps and bounds in the relatively short time it’s been around. The newest addition to PWR is…air conditioning! 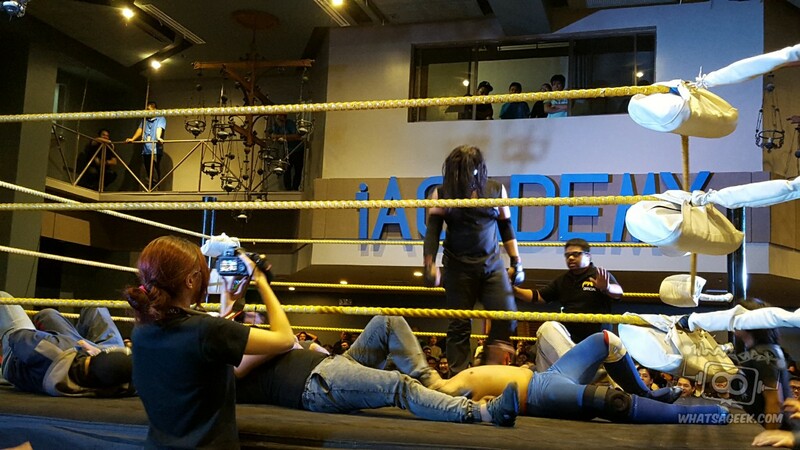 This time, the PWR Live event was held at the iAcademy Auditorium, along H.V dela Costa in Makati. The new venue was cozier than the Makati Cinema Square, with about half the capacity. The VIP section had an elevated view of the action while the Premium seats surrounded the ring. Basic seats took the area near the entrance. The only fan sign in sight! Screen projectors were able to show the new entrance videos for each of the wrestlers. 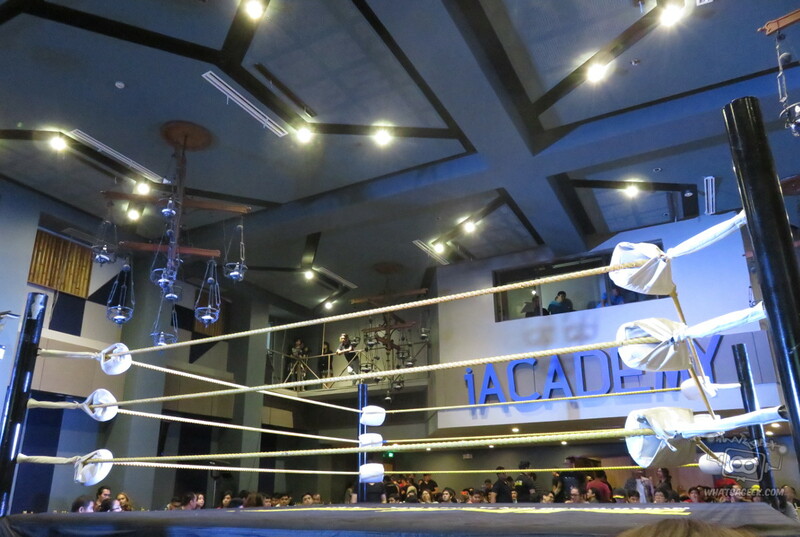 A more advanced lighting system helped elevate the mood when the wrestlers approached the squared circle. The sound system was clearer than at MCS. The wrestling ring itself seemed sturdier, making every impact in the ring echo around the room. Concessionaires were more limited but there was fresh popcorn available. The fans who couldn’t make it could join the action via livestreaming through gpnlive.com. “5 Minutes!” says the newest announcer! 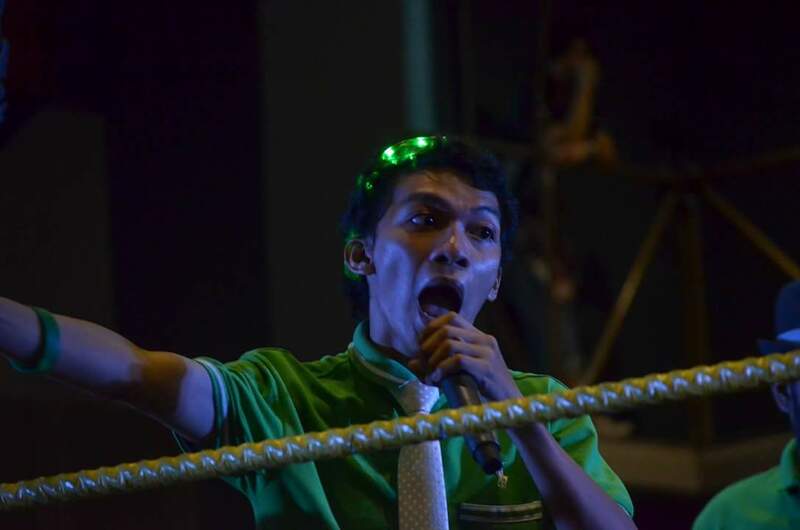 PWR General Manager Mr. Stan Sy wasn’t present to introduce the show, but a new announcer helped usher in the PWR Live matches. I was a bit disappointed since the promotional materials teased that she could’ve been a wrestler. And of course, the air conditioning. Can’t forget about the air conditioning. 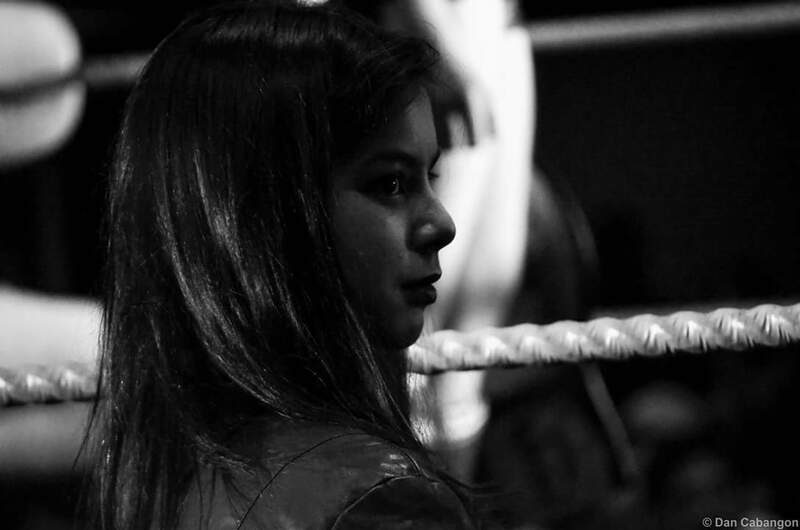 PWR Live started with a pair of dark matches. The first pre-show fight featured “The Machine” Maverick Knight, a massive menacing fellow reminiscent of WWE’s Viscera, and the much smaller, Lynch. The encounter was mostly a squash match, probably meant to build the Machine as a force to be reckoned with. Poor Lynch was tossed around like a ragdoll, with any sort of offense merely bouncing off the intimidating Machine. Maverick Knight was the definitive winner of this one, with a pin after a Good Knight spinning side slam. PWR’s newest tag team, El Trabajadores, took the ring for the next match. I was tickled pink to hear that they were from my neighborhood of Tandang Sora. It’s funny that they followed the Bananas in Pajamas naming format, Trabajador #1 and Trabajador #2. 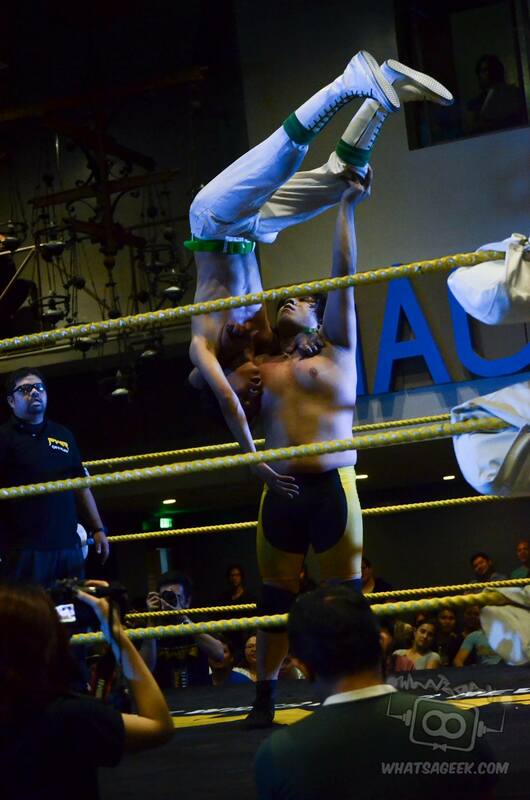 The high flying luchadores had an uphill fight against Joey Bax and Miguel Rosales, the brutal Fighters 4 Hire (F4H). The fresh duo were able to build some steam against their opponents with well timed double-teams and a few off-the-top-rope maneuvers. 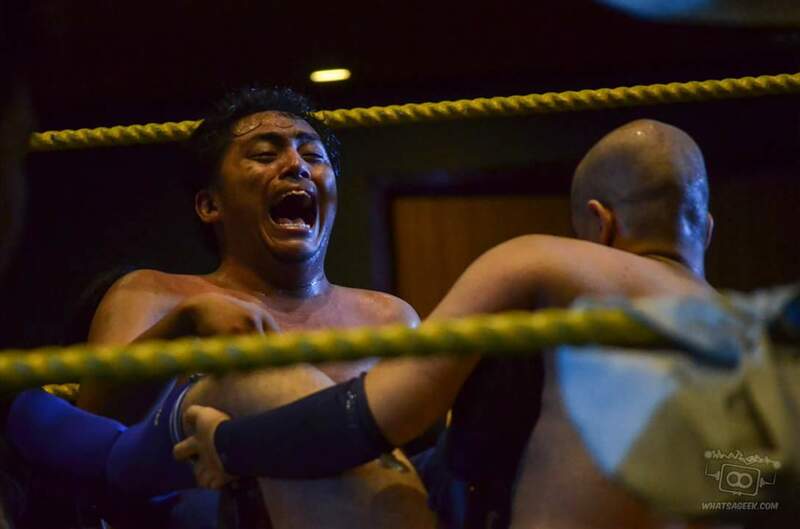 However, the F4H would push back in a dominant fashion time and time again, with Joey Bax even delivering a double clothesline to the El Trabajadores. 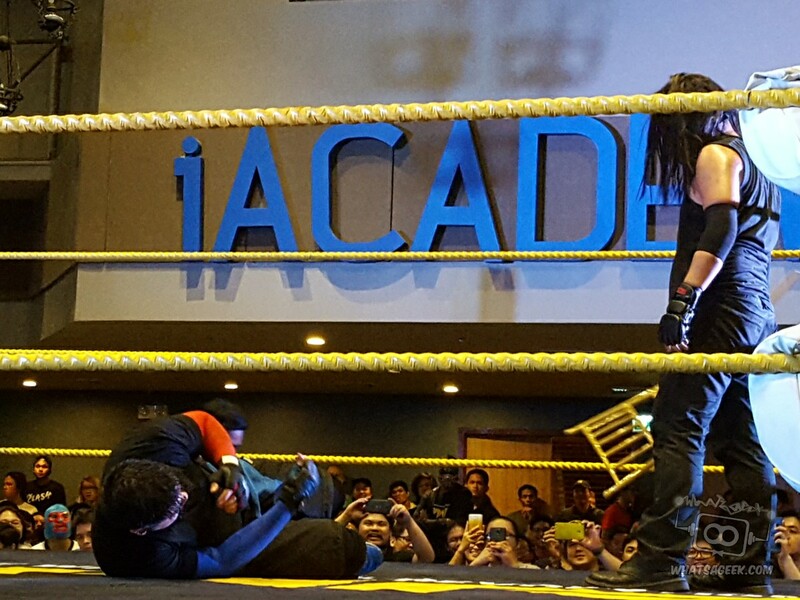 The F4H picked up the win via pinfall with the Contract Killer double spinebuster on Trabajador #2. Nevertheless, the El Trabajadores earned a well deserved round of applause from the audience for their efforts. PWR Live 2 proper kicked off with a new face in PWR, Rederick Mahaba. I wasn’t expecting a rotund man to speed around the ring with a zebra-print shawl. (It’s not a blanket as Mahaba reminds us.) Mahaba wears his carnal desires on his sleeve with lots of innuendo in his in-ring vocabulary. As the host of PWR’s newest talk show segment, Mahabang Usapan, he was refreshing and entertaining. 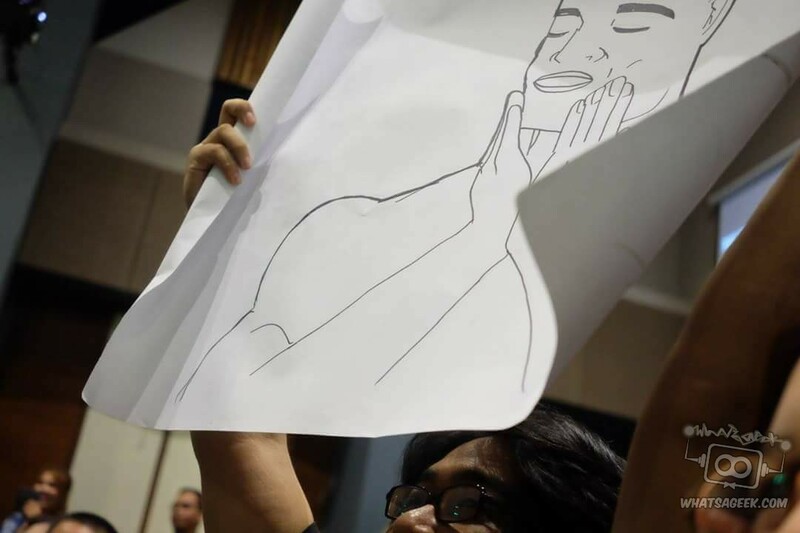 He helped inject humor in ways different from the similarly funny Mark D. Manalo and Kanto Terror. 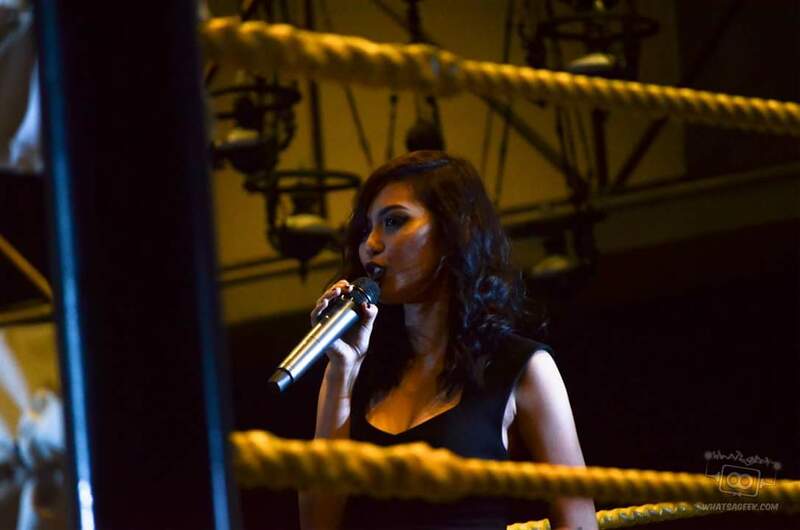 The inaugural Mahabang Usapan featured the Royal Flush – PWR Champion “Classical” Bryan Leo, “Cutthroat” John Sebastian, Main Maxx, and the always beautiful Scarlett. The Royal Flush was supposed to introduce the newest Ace to the Royal Flush, but Mahaba first sowed a little chaos. Since John Sebastian was in the #1 Contender’s match for Bryan Leo’s PWR title, Mahaba asked what would happen if the Cutthroat won. When Sebastian was offended that Leo would ever question his loyalty, the latter declared they can find a new Jack after they’ve introduced their Ace. Get out of my ring! 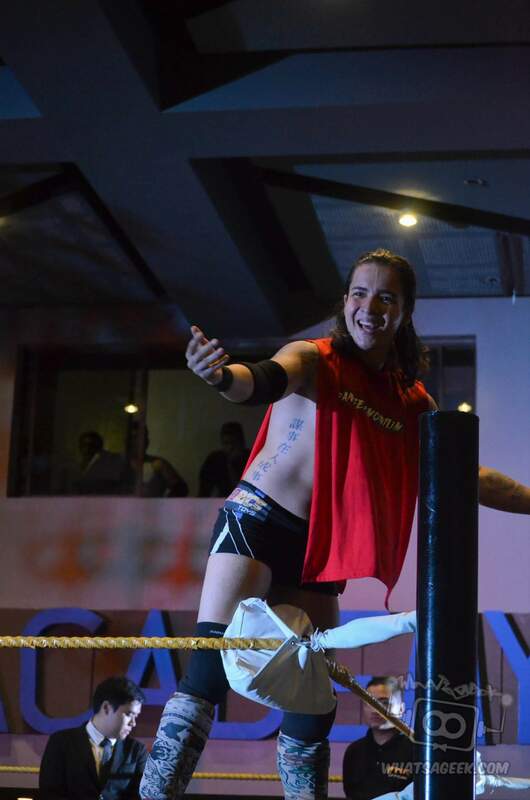 After storming out of the ring, the PWR Champ would introduce their newest Ace…. John Sebastian! I joined the crowd in the collective boos and sighs. It was a giant letdown as I had expected someone like The Apocalypse or PHX Champion Ken Warren to join. It does, however, fit in with the self-important and arrogant nature of the stable to orchestrate such a dramatic bait-and-switch. Mahaba shared our sentiments and called Bryan out on it. An angry Bryan later volunteered Main Maxx to challenge Mahaba, who was eager to get into his first match. 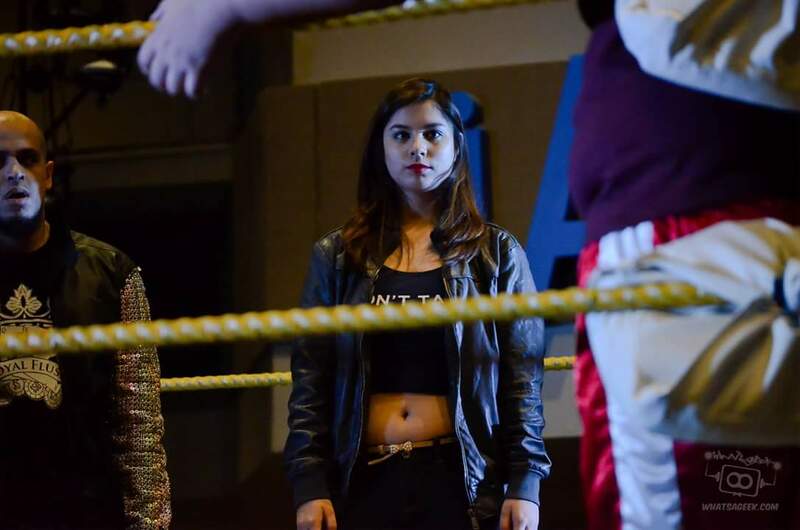 The stipulation was that whoever wins would score a date with the Queen of the Royal Flush, Scarlett. Unfortunately, poor Scarlett had no say in the matter. Mahaba and Main Maxx were of equal size, giants in their own sense, but they moved as fast as their lighter brethren. Mahaba had the upper hand in technique, being able to lock Main Maxx in several holds. The latter’s experience would prove too much for Mahaba. Even after painful moves, Mahaba would elicit laughs from the audience with audible cries of “Why?,” which out-of-context sounds very masochistic. Main Maxx would make Mahaba submit to the Maxximum Mutilation for the win. The Royal Flush, ever the opportunistic pack of wolves, delivered the Deadman’s Hand to the fallen Mahaba, a devastating triple punt to the head. Mahaba may have lost the match (and perhaps a gonad) but he definitely won a place in the hearts of the audience, myself included. 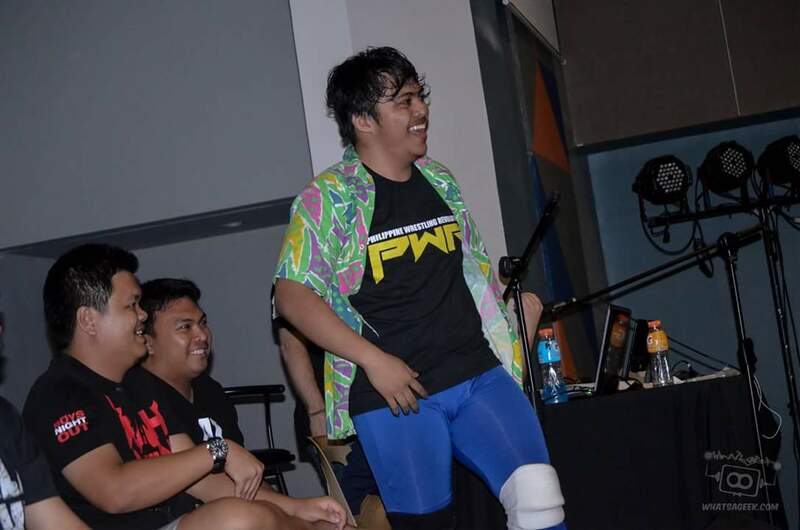 From one crowd favorite to another, the “Fighting Gamer” Vintendo finally made his official debut on PWR Live. Vintendo had his hands full, however, as he tested his mettle against the unstable and unpredictable Apocalypse. Vintendo wanted nothing more than to celebrate his first win against the monster who already seriously injured many of his friends on the roster. As indicated by his ring name, Vintendo unleashed a flurry of video game inspired moves on his opponent, from E. Honda’s 100 hands to Goku’s Kamehameha. He gave as good as he could take, but the Apocalypse simply did better. A brave exchange of power moves ended with Apocalypse planting Vintendo with his finisher, the Death Bell. Just like before, pinning his opponent was never enough for the Apocalypse. He continued his path of destruction by brutally beating Vintendo with a metal chair and possibly breaking the victim’s shoulder. 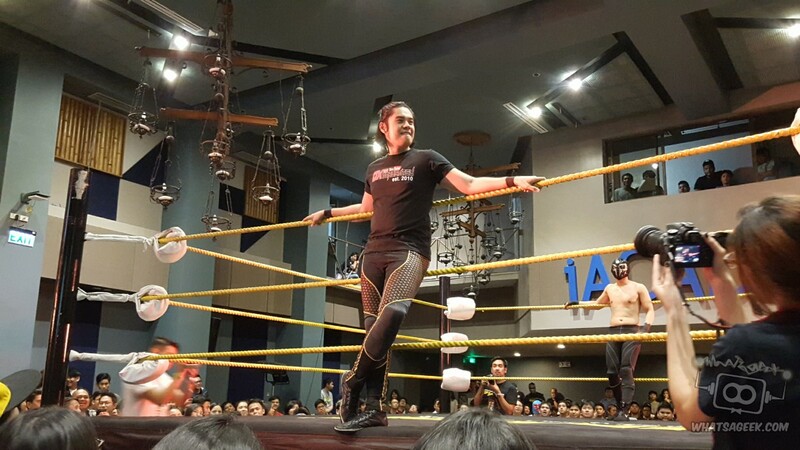 The arrival of “The Senyorito” Jake De Leon (JDL) re-energized the audience. 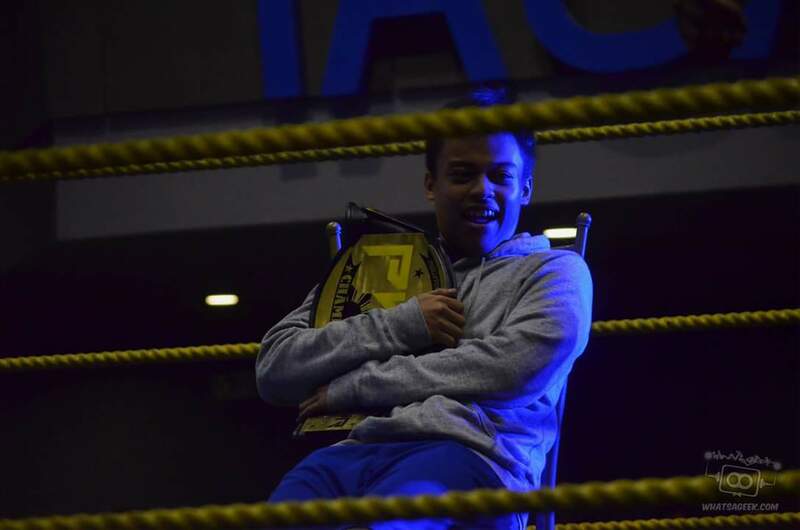 Definitely a crowd favorite, the Master of Minimum Wage and Maximum Rage would humbly reflect on his time in PWR, cementing his resolve to be Champion once again. And that’s when the music hit. The Network would interrupt JDL’s musings. James “Idol” Martinez asked the former Champion, “Opened minded ka ba?” The self proclaimed “IDOL” offered JDL a solution to all his problems, his patented supplements. In classic multi leveling marketing fashion, Martinez offered to test his product on himself. As soon as the incredibly scrawny salesman shed his shirt, JDL responded with a quick super-kick to the face. Clearly out his depth with a top-tier competitor, Martinez tried to slither his way out of the ring on multiple occasions. DON’T MISS: March Events and Happenings! JDL controlled the match until a timely reversal. The head of the Network unleashed a mean streak that betrays his seemingly fragile frame. Even without the help of his Network partner, Martinez was able to toss JDL out the ring and deliver a Bronco Buster. When The Senyorito was finally able to rally, his momentum was interrupted by a Blitzkrieg by the Royal Flush’s Main Maxx. A barely conscious Martinez pinned JDL for the win and Main Maxx continued his vicious attack. It was only the timely intervention of Bombay Suarez that saved JDL from further injury. PWR Live’s ’s #1 Contendership match for the PWR Championship was definitely one of the most anticipated matches of the evening. Ralph Imabayashi and John Sebastian have a long rivalry with each other and this match would bring one of them to the greatest prize in the land. The match swung back and forth between the two. Ralph’s lightning quick kicks would give way to a brutal mud stomp by John. Each one applied painful submission holds on the other. It was truly anyone’s match until a Sonic Crusher out of nowhere caught the Cutthroat off guard, giving the win to Imabayashi. The Royal Flush would not leave this embarrassment unpunished. 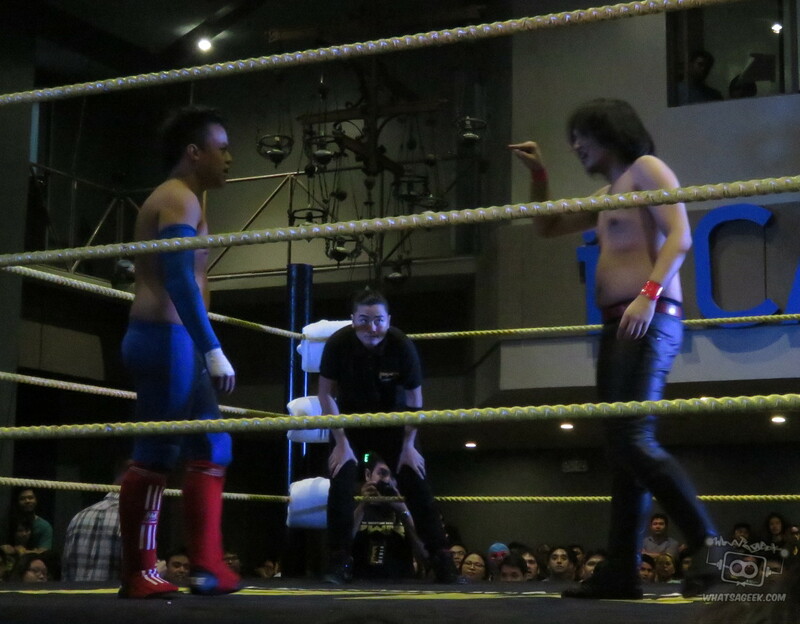 When Bryan Leo confronted the new challenger to his title, Sebastian delivered a low blow to Imabayashi. The crippled #1 Contender fell victim to yet another brutal Deadman’s Hand. The PHX Championship match sought to end another long-standing feud between PHX Champion Ken Warren and Chris Panzer. The Leader of the Panzer Army has long accused the Social Media Sinister of siccing the Fighters 4 Hire at him, taking him out of the first tournament for the PHX Title. During PWR Live, Panzer got his rightful shot at the PHX Title. He just had to plow through Warren and the F4H. A disrespectful slap from the Champion sent Panzer into a rage, as the latter unleashed a flurry of strikes and slams. Warren tried to hightail it out of there but Panzer would have none of it. He dragged Warren out of the back stage and threw him back in the ring. Panzer had the upper hand, even landing a frog splash from the top rope. Ultimately, the F4H tipped the odds in the Champion’s favor. Miguel Rosales distracted the referee, preventing him from counting Panzer’s pin on Warren. When Panzer argued with the ref, Warren superkicked him in the back and picked up the win, reminding everyone that a champion does whatever is necessary to stay at the top of the mountain. The settling of rivalries were a theme during PWR Live 2. However, few fights were more intense than one fueled by the bitter betrayal between brothers, Peter Versoza and SANDATA. The tag team formerly known as the Dualshockers were on a losing streak and each of them blamed the other for their mounting failures. 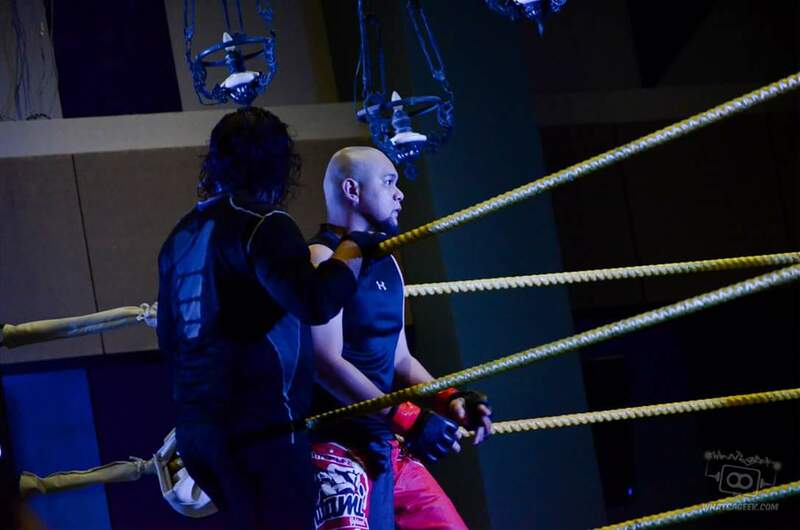 Push came to shove and they decided to settle things the only way wrestlers can – in the ring. An overconfident Versoza turned his back on a waiting SANDATA. 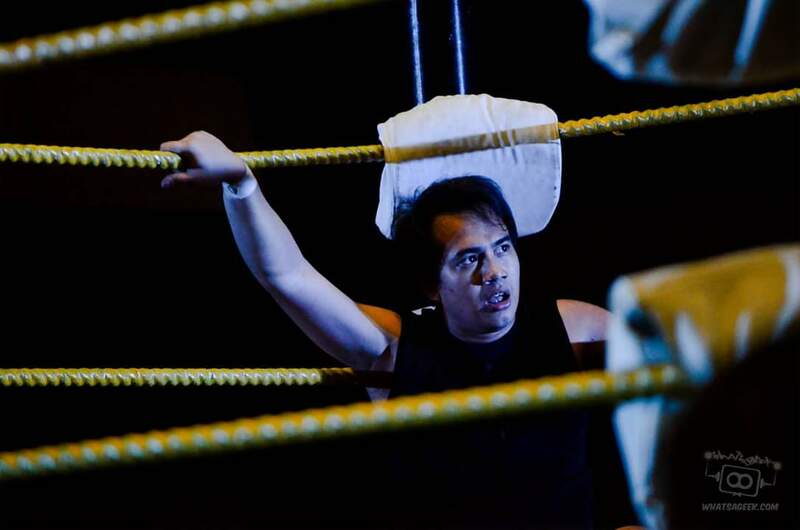 Versoza paid for that with a dropkick to the back, sending him crashing to the ringside floor. SANDATA followed up that preemptive strike with a 8ft+ high splash on a fallen Versoza. SANDATA FROM THE TOP ROPE!!!! The match was an even match as both could read and reverse whatever the other would do. All the bad blood was settled here as both mean utilized their full repertoire of moves. It took a Petegree from Versoza to put away SANDATA for good, closing the chapter on this story. 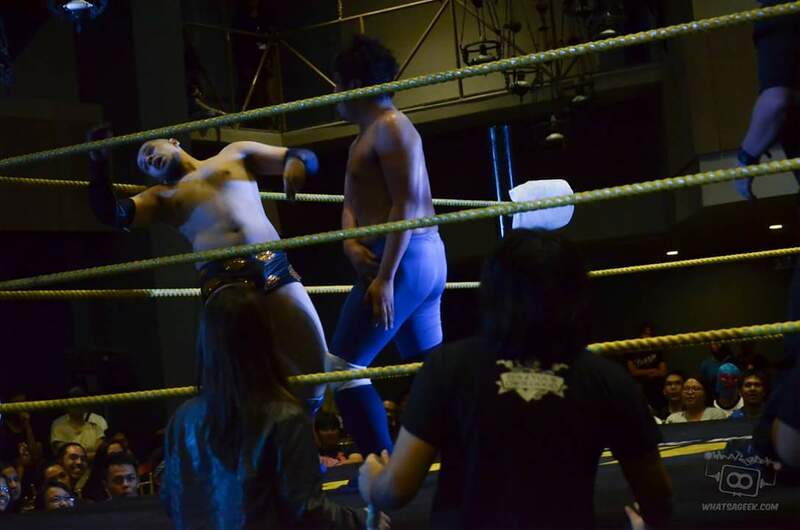 PWR Champion Bryan Leo seemed intent on getting some action during PWR Live 2. Taking a page from John Cena’s handbook, he offered an open challenge to anyone in the locker room, a chance to win the title. A cloak befitting a champion! None other than the Mark D. Manalo answered the call. Leo scoffed at the probinsyano and demanded that he lie down and let himself be pinned. Surprisingly, Mark obliged, if only to catch the Champion off guard with a small package resulting in a near pin. D. Manalo gave Leo a run for his money, with a flurry of strikes. But “Classical” Bryan Leo didn’t become Champion by getting knocked around like a chump. 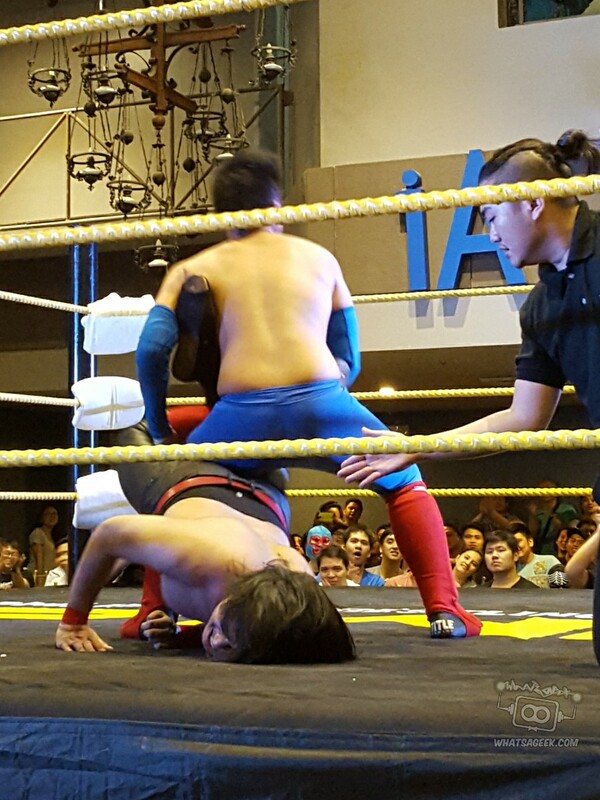 On multiple occasions, Leo would trap D. Manalo in painful submission maneuvers. All it took was a Royal Prison Lock to D. Manalo to tap out. Not content at merely beating the probinsyano, the group of vultures known as the Royal Flush delivered yet another Deadman’s Hand to D. Manalo. Bad luck really did come in threes for those that oppose the Royal Flush in PWR Live. 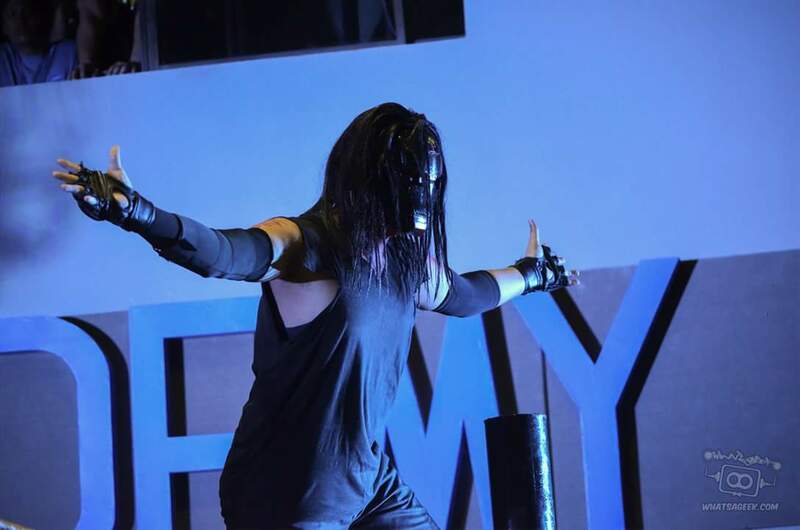 D. Manalo must have had some terrible karma in a past life as the masked Apocalypse came to play. And by play, I mean deliver a bone-crunching Death Bell on yet another hapless victim. 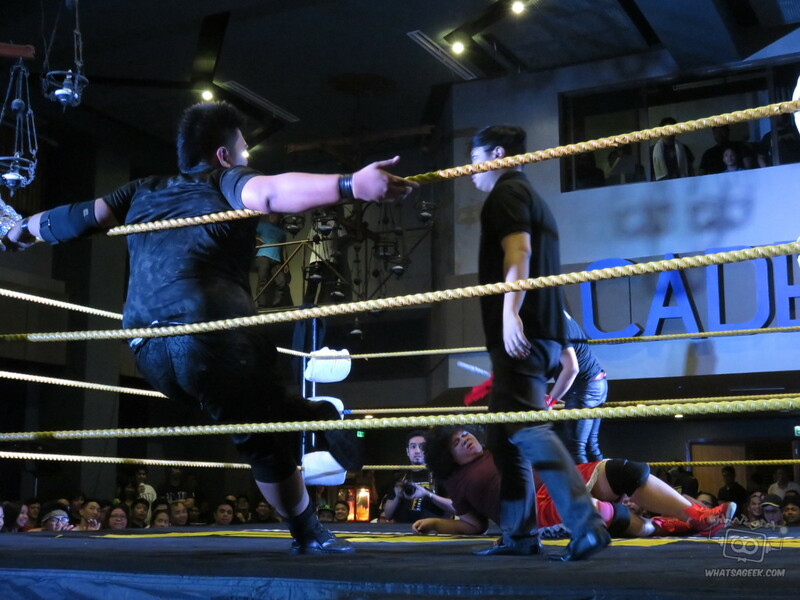 PWR staff rushed to the ring to stop Apocalypse from further breaking D. Manalo. Apocalypse swatted the mere mortals like flies. Only when the sadist was finally satiated did he return you whatever depths he came from. The Royal Flush were conveniently absent during the carnage but they were quick to pick up the slack left by the Apocalypse. That was the last straw for some in the backstage. 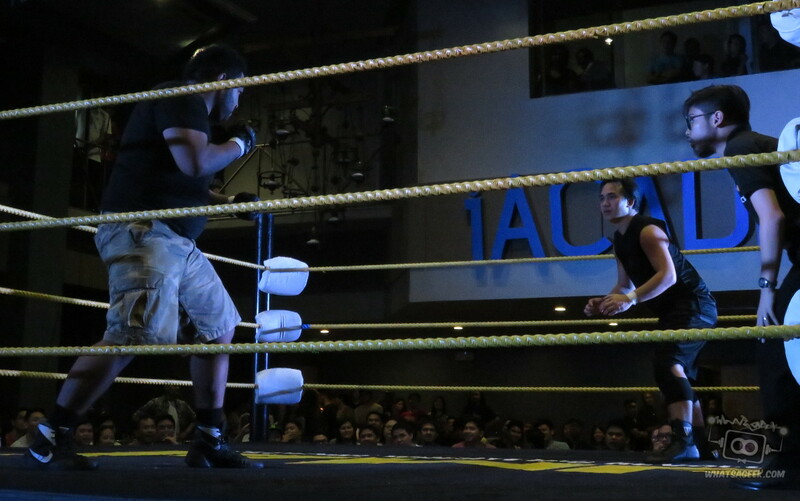 Jake De Leon and Bombay Suarez stormed the ring to even the odds. The numbers game still favored the Royal Flush until #1 Contender Ralph Imabayashi burst out from the crowd. His surprise gift for Leo and the gang was Sonic Cutters for each of them. 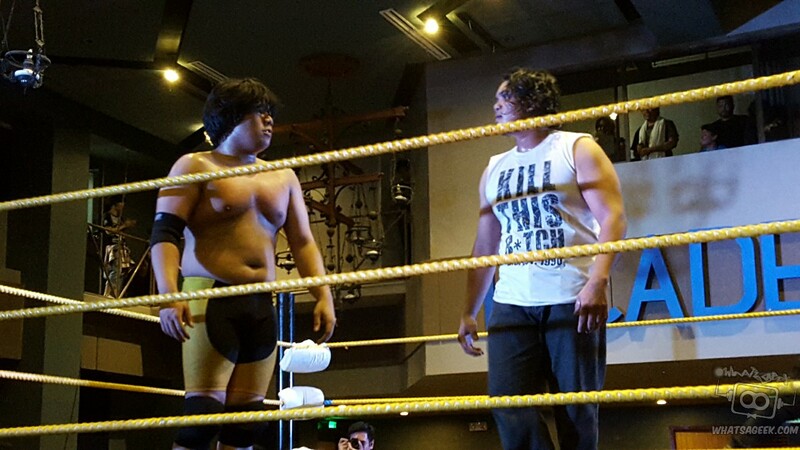 The littlest man in the roster was standing tall during PWR Live. 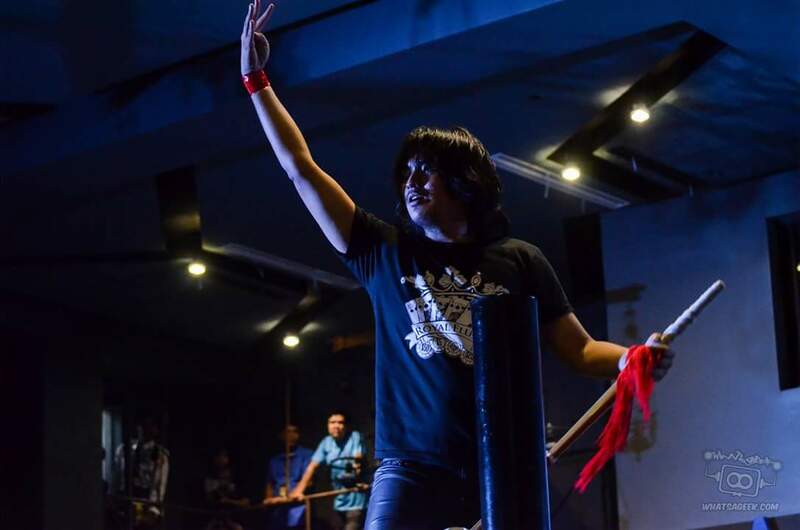 Surrounded by comrades Mark D. Manalo, Jake De Leon, and Bombay Suarez, Imabayashi sent a loud message to PWR Champion Bryan Leo. He’s coming for the “Classical’s” Title on PWR Terminus. Enjoy the belt while he can. PWR Terminus will be held on December 19, 2015, still at the iAcademy Auditorium. Learn more about PWR with this handy guide. 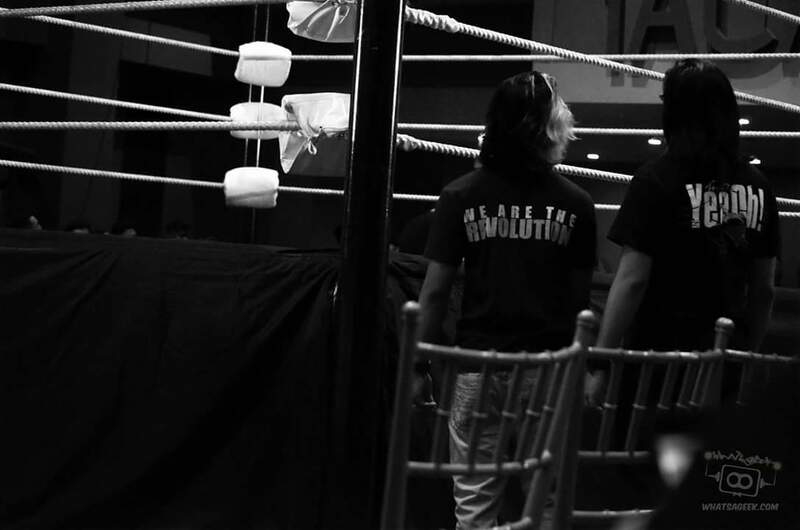 Follow the build-up to PWR Terminus right here on PWR’s official YouTube channel.